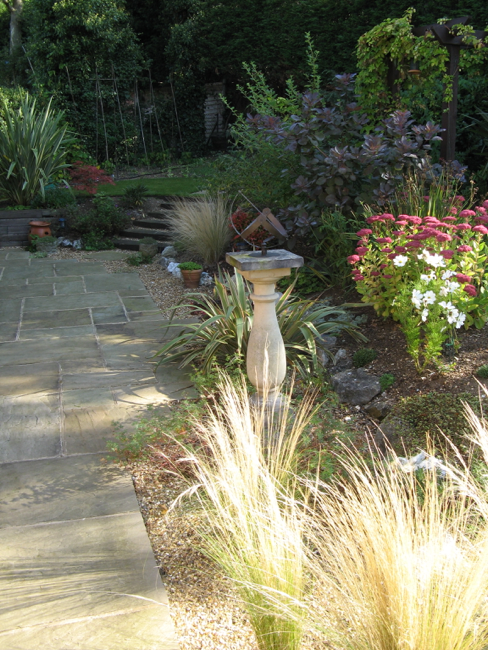 Sometimes a simple theme can be worked to maximum effect as with this plant-filled piece of paradise. 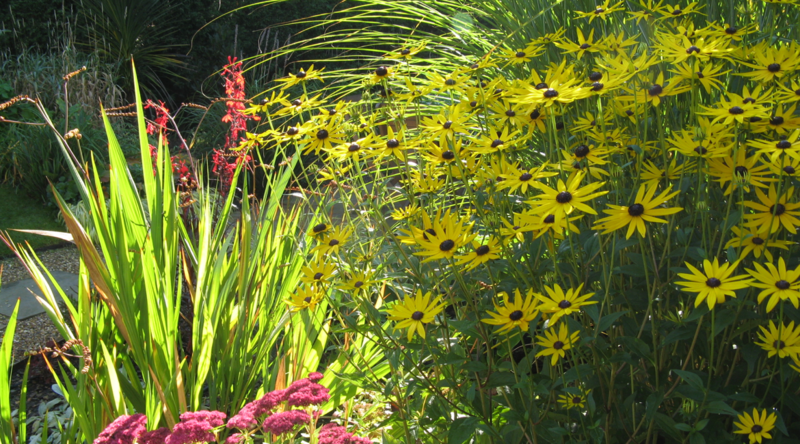 The brief for this project was to create an informal, colourful garden with a wide variety of plants, as the clients were keen gardeners. 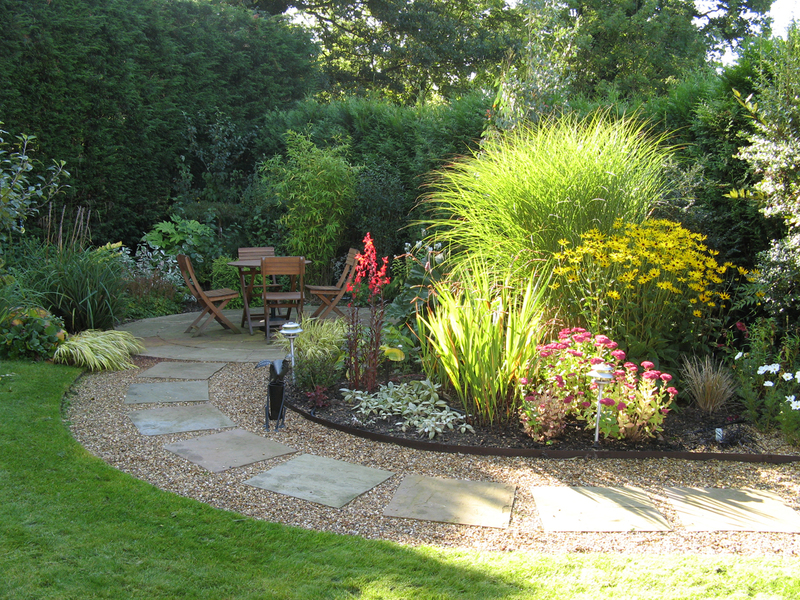 An informal gravel path inlaid with sandstone stepping stones led through to an intimate seating area surrounded by large leaved, architectural plants and colourful perennials. Beautiful at any time of the year!